Following in the footsteps of their iPhone application Starbucks have today launched a version of their payment app for Android users with smartphones running Android 2.1 or above. Once installed to use the new application all you need to do is add credit to your Starbucks mobile card, and scan the app’s barcode at the cash register. Watch a video of the new Starbucks Android application in action after the jump. The new application wil also allow you to find Starbucks within your immediate vicinity, and provides coffee-based special offers, via the Starbucks’ rewards program. The new Android application now allows Starbucks customers to be able to pay at nearly 6,800 Starbuck stores with their Android device. 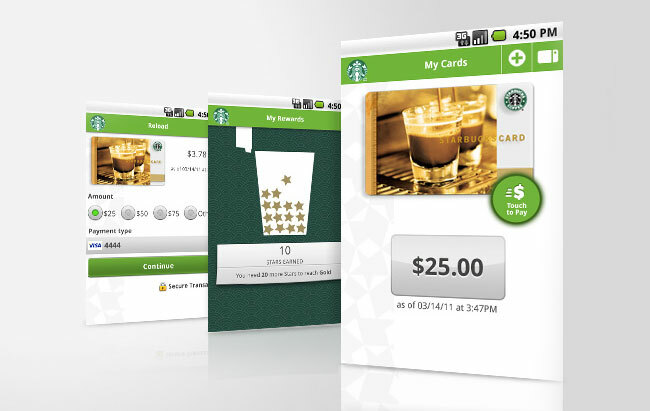 Starbucks for Android, is now available from Android Market and is free to download.